I was on a radio show on Sunday night, Capitalk 100.4fm hosted by #Sokostina. It was my first time and totally excited to be able to inspire thousands of people listening in at the same time. I also managed to learn from a caller who challenged me not to side line my ability to write books. I will never forget him, #Moyo from #Bindura. Of interest was a couple of people who wanted to know how to move to the next stage of their lives, from being hopeless to success or getting back their self esteem. My answer to that is the same. If you want to move on, use the power of your mind correctly. Feed on affirmation and positivity. If I asked you to be honest about your Monday morning ritual, would you tell me the truth? Do you wake up dreading the hustle and bustle of the new week? Does your heart sink, and a rush of negative thoughts flow in. Truth is you can use your mind to create the right energy. 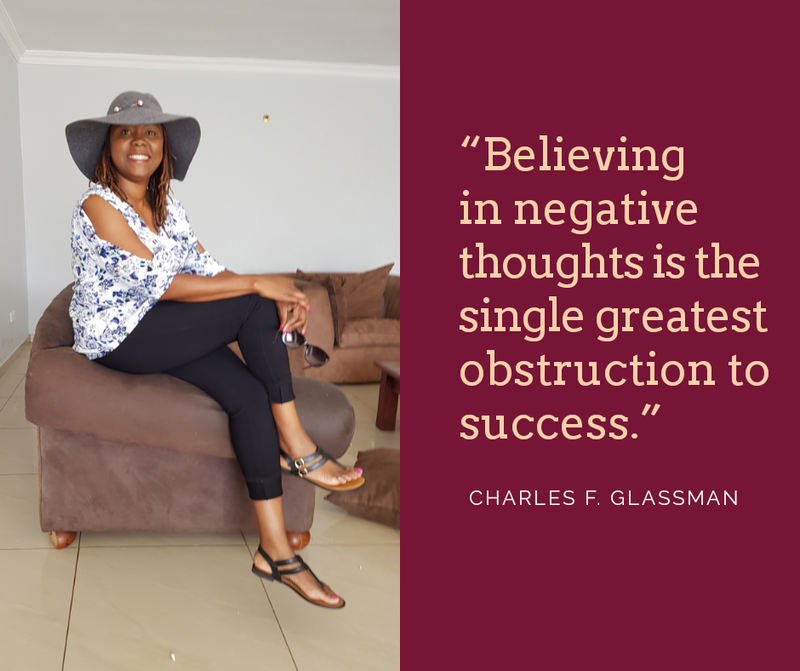 Negative thoughts create negative energy and closes you up from seeing opportunities. So no matter your yesterday, each new day becomes a chance to rewire yourself to be who you want to be. Use your time to push your thoughts in a positive direction.That extra time you have whilst going to work you can pray or meditate on one or two affirmations. Another method is to find joy in the moments of life and truly enjoy them. I was privileged to attend #Toastmasters conference #Icon2018 in Cape Town early May. It was a time I decided to maximise and totally be in the moment to refresh and have good fun. I fed my mind every morning by taking a walk along the beach and speaking out loud to myself. I danced and sang too on one of the evenings with friends. There was so much peace in the air and at that moment I fed myself with positive affirmations. It’s simple but very powerful. No matter what anyone says, you can feed truth to your mind and believe it. The only challenge is that our eyes and ears believe what they see and hear easily and generally negativity so easy to stick easily in our minds. Imagine driving on straight road and another driver cuts dangerously in front of you. That moment’s reaction if not well managed can make your whole day be totally full of bleeps and blunders. So next time, watch how you respond to situations and quickly turn all negative talk or thoughts into positive. That way, you glide in peace and towards your life goals. Have a fabulous start to a great week.